Breakfast should be the most filling and nutritious meal of the day. 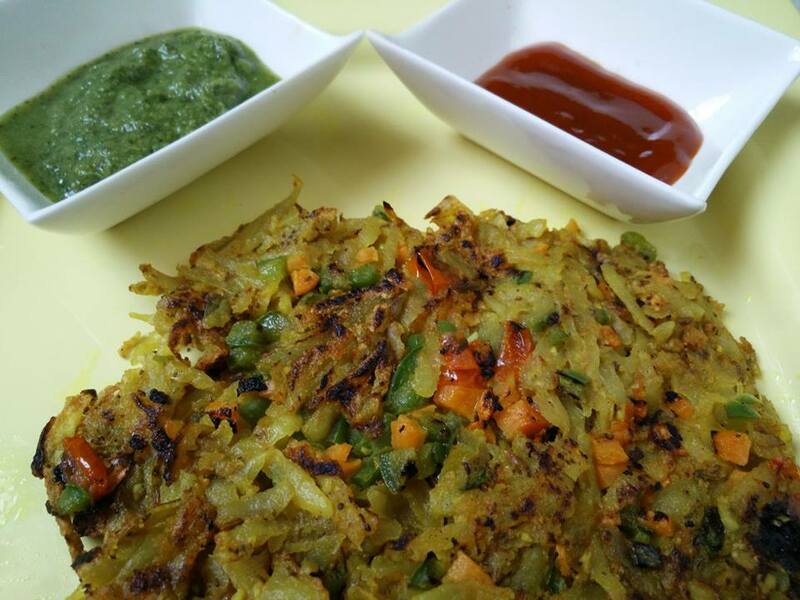 Potato Laccha pancakes is an easy and quick breakfast recipe in which lots of vegetables are added to enhance the nutritional value. Grate potatoes and add all ingredients except oil and vegetables. Mix together and make a paste. On a non stick pan, spread the potato laccha pancakes and cook like other pancakes till it gets crispy from one side. Apply the chopped vegetables on top layer and flip the pancake. Cook with little oil as it gets crispier. I have seen your video clip. This blog post is really great, the quality information of this post is genuinely incredible.